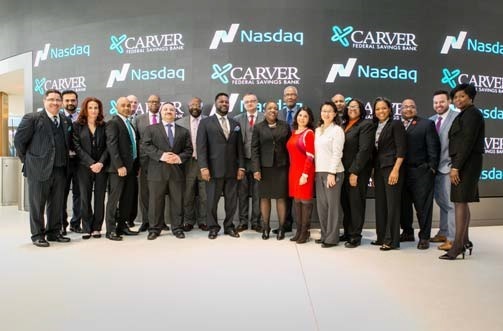 LESC's partner, Carver Federal Savings Bank, asked Valerie Walters to help celebrate Black History month, the Bank’s 10-year anniversary being listed on Nasdaq and to recognize that it was the first African-American managed bank to be listed on Nasdaq. Carver Federal Savings Bank recently launched a partnership with LESC, making a financial commitment to our organization and providing the necessary resources to help us continue our Mission of meeting the special and changing needs of New Yorkers experiencing critical life problems with substance use, mental illness and homelessness. 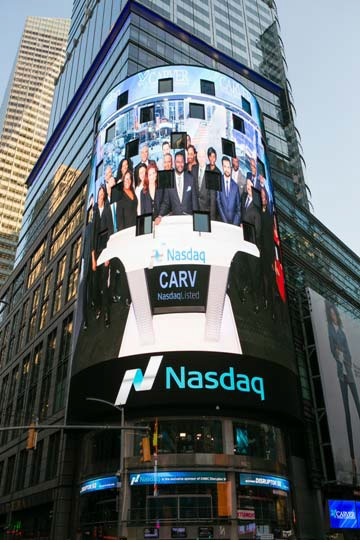 Carver Bancorp, Inc., the holding company for Carver Federal Savings Bank, had the opportunity to ring the Nasdaq Closing Bell on February 6th to celebrate Black History month, the Bank’s 10-year anniversary being listed on Nasdaq and to recognize that it was the first African-American managed bank to be listed on Nasdaq. To further demonstrate their commitment to and support of LESC's Mission, bank executives invited LESC President & CEO Valerie Walters to be a part of this momentous occasion.